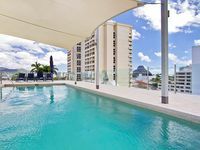 Property 6: The Penthouse - unlimited wifi/Netflix/mod cons..
Property 10: Penthouse Paradise - make your stay in Cairns special! Property 24: Boatel Cairns. Don't stay at the Marina.....Stay in it! 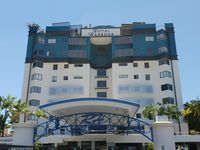 Property 38: City Centre 1.9km, Esplanade 200m. Property 44: Pandanus House - contemporary stylish and retro and close to the airport. Property 47: GREAT VALUE FOR MONEY. Loved the apartment but found there were no paper products and only two towels.